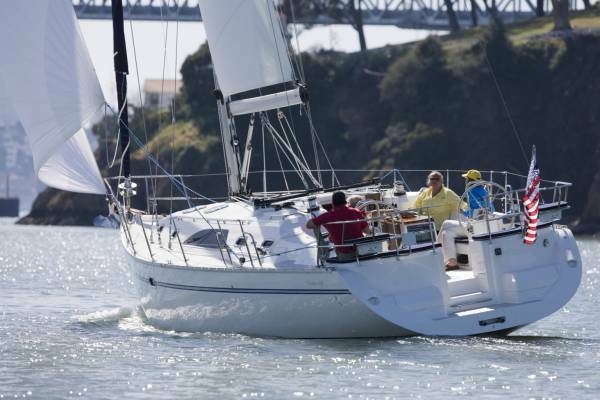 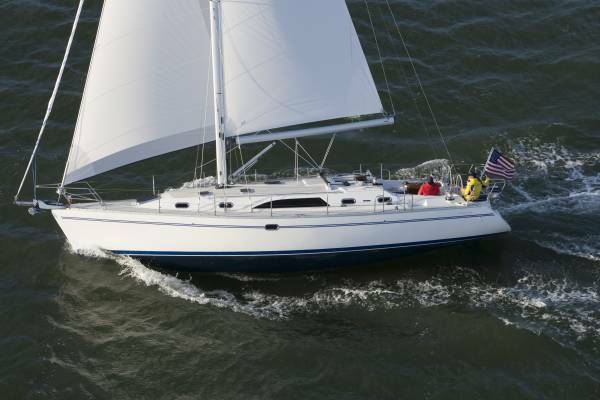 SAIL Magazine: CATALINA 445 WINS 2010 BEST BOAT AWARD for BEST CRUISING MONOHULL UNDER 50FT. 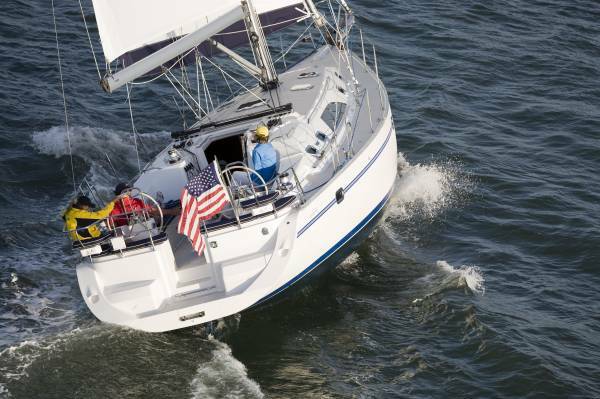 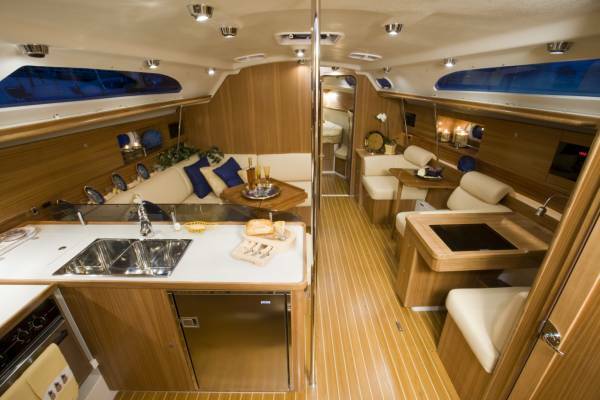 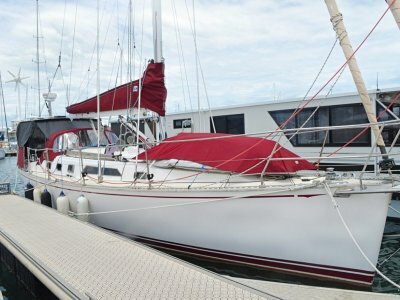 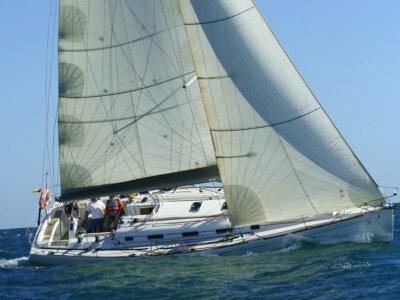 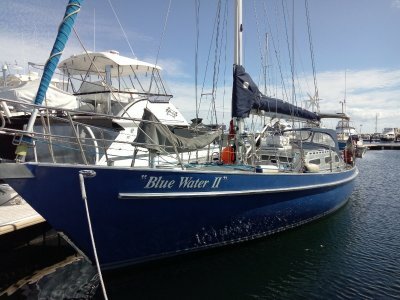 CRUISING WORLD Magazine: CATALINA 445 WINS 2010 BOAT OF THE YEAR AWARD for BEST FULL SIZE CRUISER. 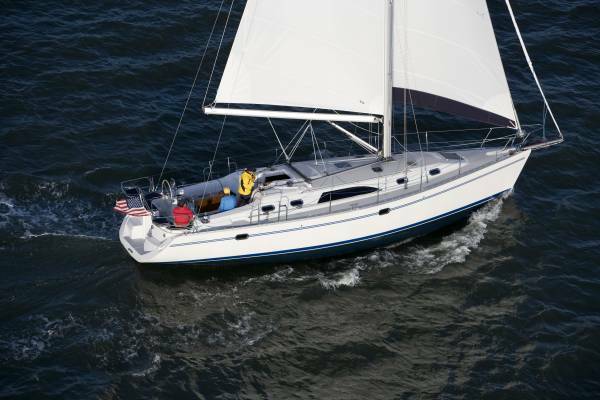 This all-new model from Catalina incorporates crisp, contemporary styling with proportions and features that make Catalinas comfortable and secure underway and on the hook. 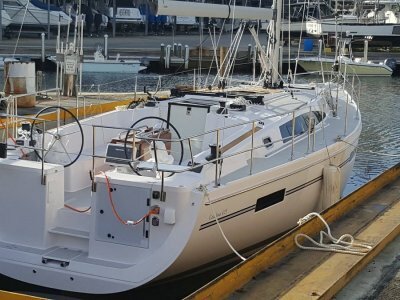 Based on a new hull design with a long waterline and moderate beam and freeboard, the 445 will have excellent performance potential. 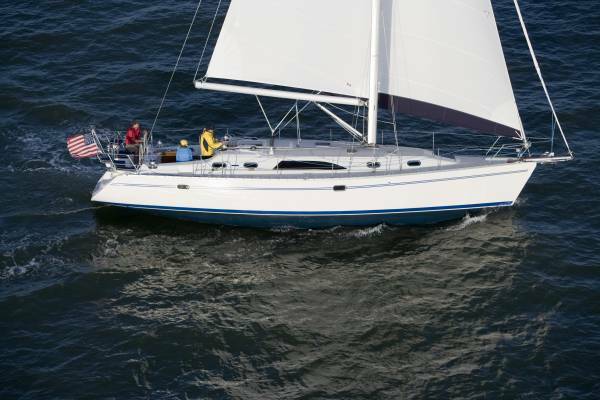 The hull form is optimized to provide the gentle, predictable motion underway, which is so appreciated in other Catalina models. 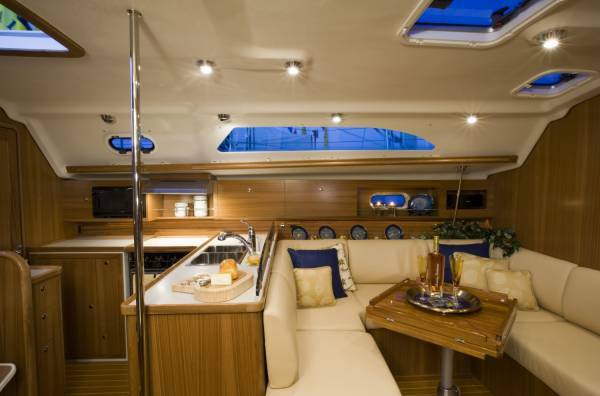 The deck is strikingly handsome with a low profile cabin structure, twin helm stations and a roomy cockpit with tall, secure comfortable coamings and a cockpit table that seats 4-6. 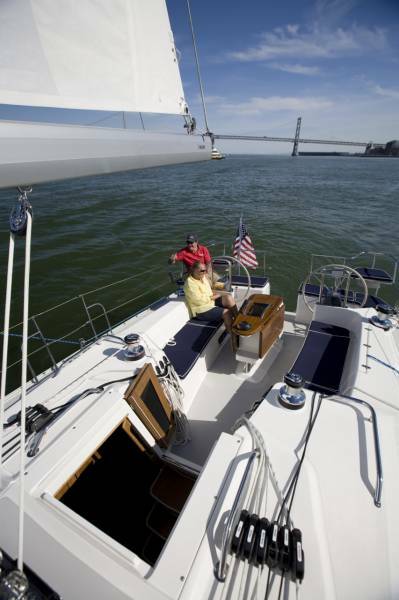 The deck is finished with a traditional diamond-patterned non-skid. 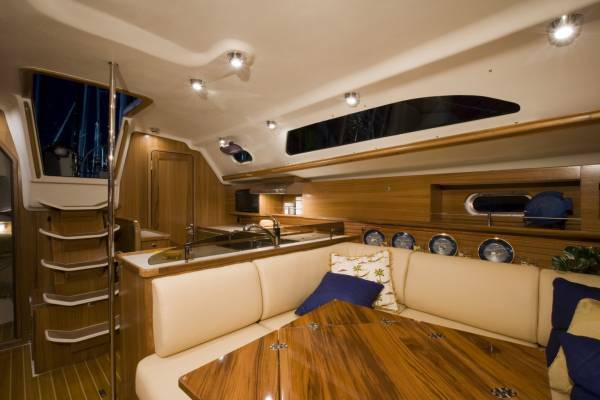 The owner's cabin is forward for privacy and optimum ventilation. 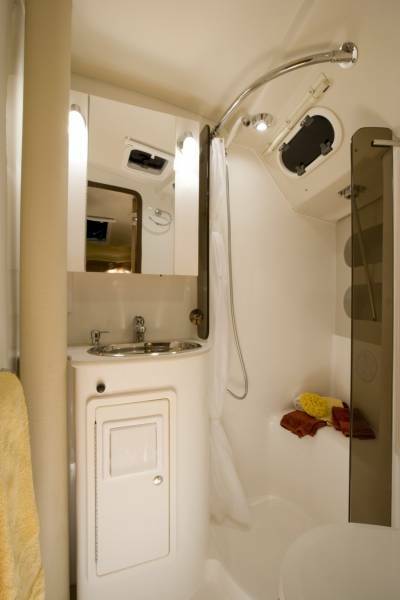 Private head access from the forward cabin along with a electric head and separate shower complete the forward cabin arrangement. 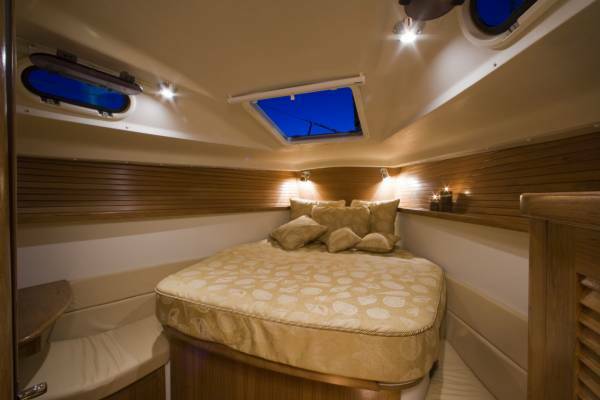 The guest cabin is aft with a large comfortable double berth, angled for easy access and greater headroom. 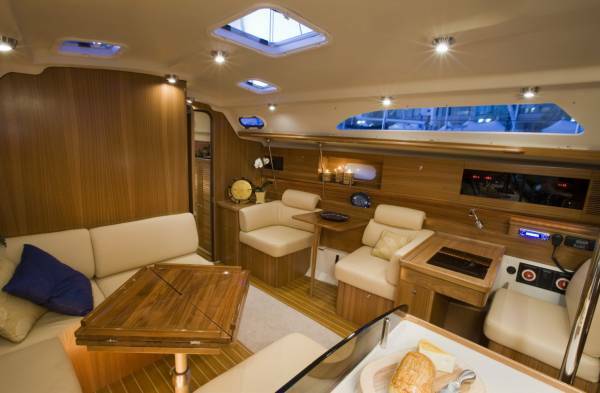 This new design incorporates a innovative cabin on the port side. 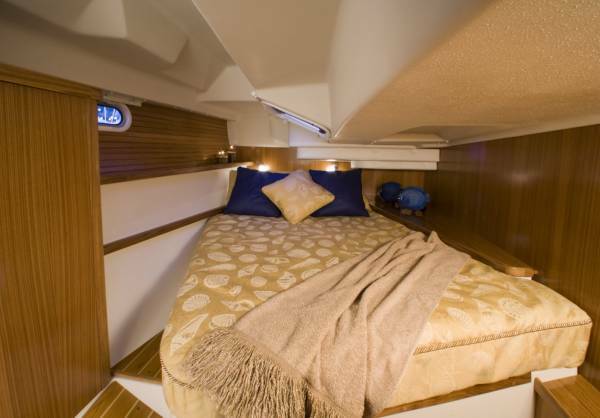 This cabin is a flexible space that can easily be converted to whatever your cruising style dictates at the time-sleeping quarters, storage, or a work room with a bench. 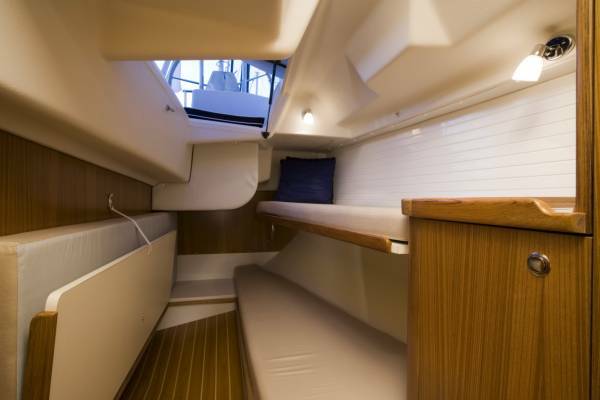 The galley has the storage and features needed for extended cruising.